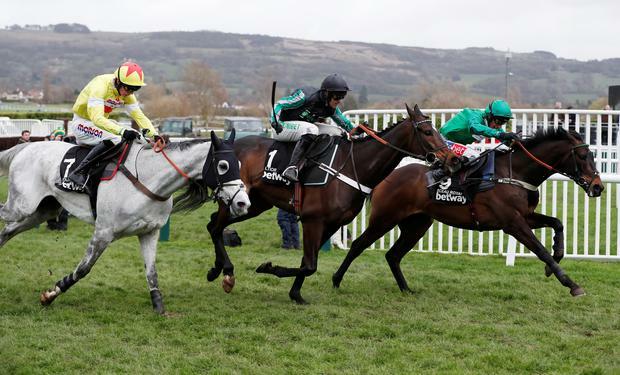 City Island ridden by Mark Walsh (right) on their way to victory in the Ballymore Novices' Hurdle during Ladies Day of the 2019 Cheltenham Festival at Cheltenham Racecourse. Four Irish winners today to match the four achieved yesterday. The headlines will rightly belong to Altior and Tiger Roll. Another fantastic day of action.